♥Definemadness! 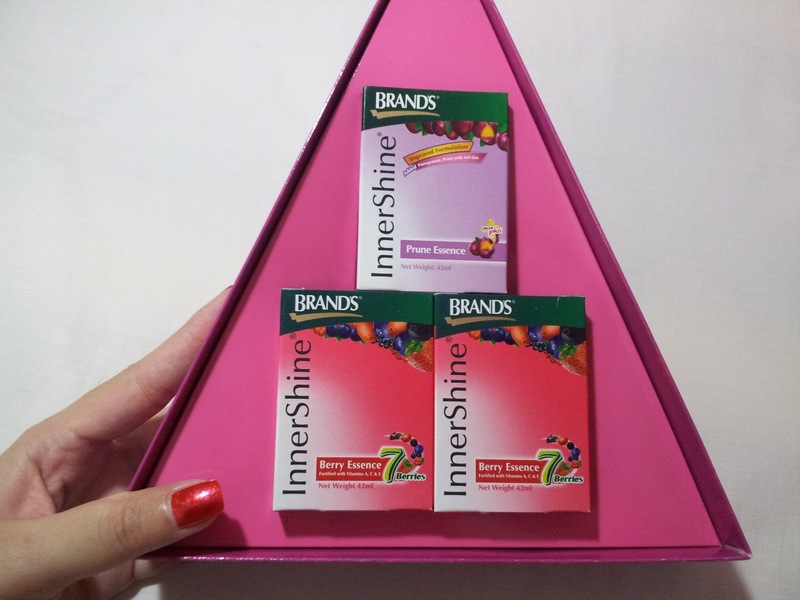 : BRAND'S® InnerShine® Christmas Gift Pack! 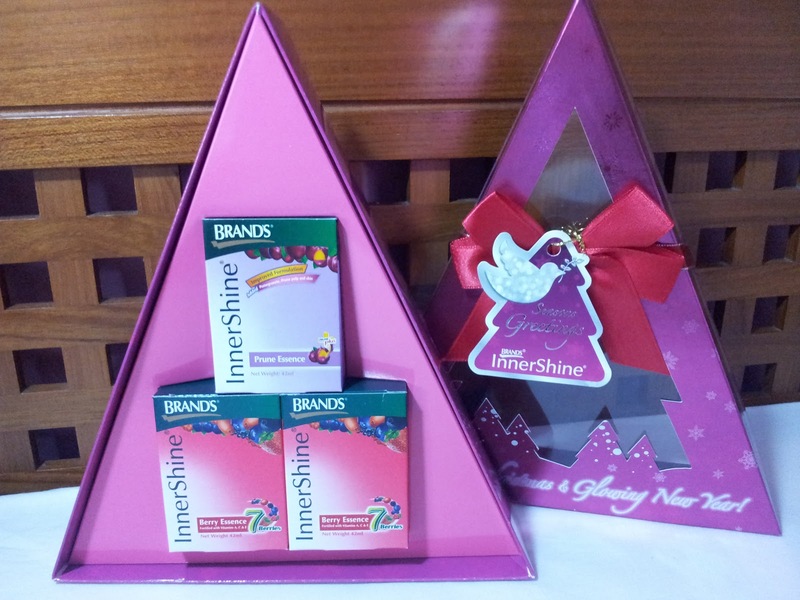 BRAND'S® InnerShine® Christmas Gift Pack! How have you been these days?? I'm not going to beat around the bush cause I wanna share this with you ASAP! I wanna share with you something that will add brightness to your day and let your radiance shine through! 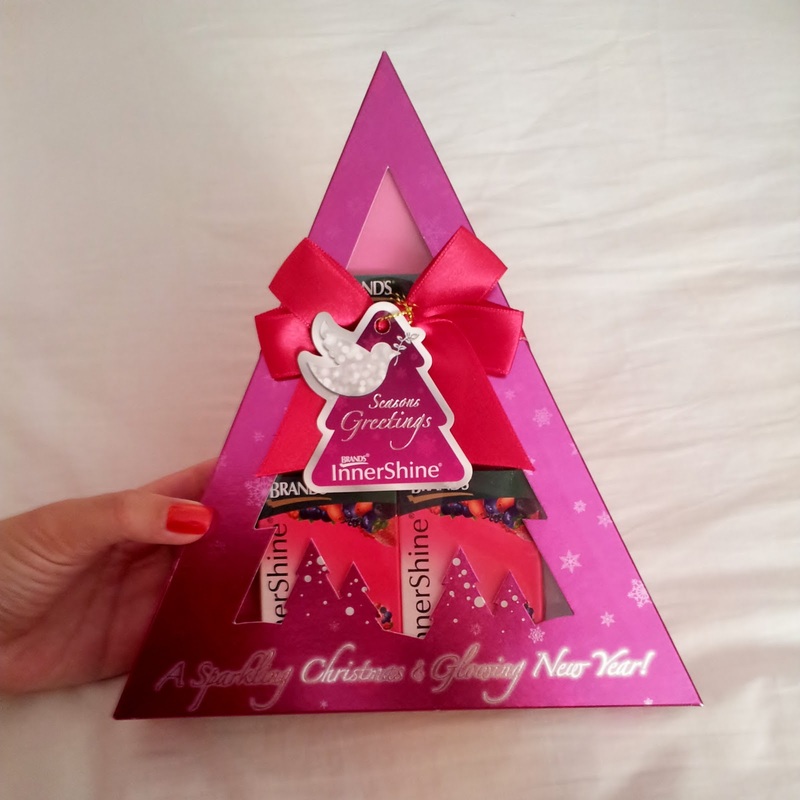 This Gift Pack is exclusively designed for Christmas! Doesn't it suit the Christmas theme so so well?! & a little card to write the 'To:' and 'From:'! & now I won't have a headache wondering what to get for all the gift exchanges anymore! Can also get it for your parents, grandparents, aunts etc, I'm sure they will be really happy too! Already packed with so much prettiness and it's super affordable! Below the gift exchange minimum budget? GET TWO. It is also exclusively available at Watsons & Guardian! I'm sure whoever that gets it will love it! It combines beauty and health together, I'm sure all you girls will like that right? 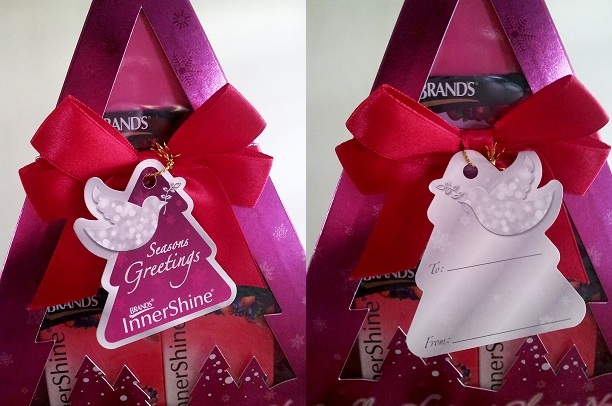 What is this BRAND'S® InnerShine® Christmas Gift Pack exactly?? Contains 7 types of premium berries specially selected from Europe & America – Blueberry, chokeberry, cranberry, blackcurrant, acaiberry, elderberry and strawberry. Combination of 7 berries is an excellent source of anti-oxidants, which neutralizes harmful free radicals in the body and prevents degeneration of eye cells. Contains Zinc, and is fortified with Vitamin A, C & E, providing the required nutrients to benefit eye health. Rich in dietary fibre from prune pulp and skin to promote regular bowel movement, prebiotics (Oligofructose and Inulin) to encourage growth of friendly gut bacteria and Vitamin C to maintain skin elasticity and radiance. Also contains pomegranate, a good source of anti-oxidants, to protect cells from harmful free radicals in the body. Specially formulated to enhance overall inner well-being through the promotion of intestinal health, which in turn translates to clear, radiant skin. No added sugar, colouring or preservatives. Yup, above are the details of the two essences! & here are pictures of what's inside! I personally had it before and I love the taste! 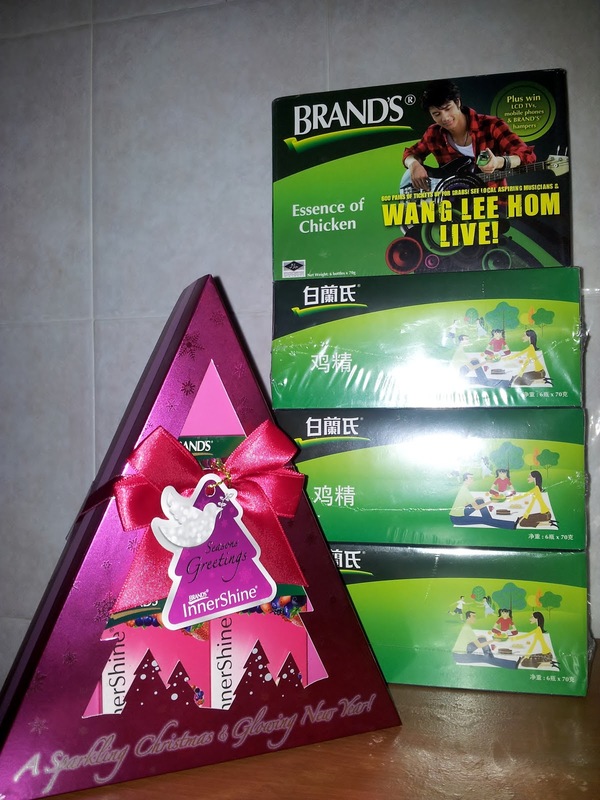 & if you don't already know, I drink BRAND'S Chicken Essence every single time before exams! 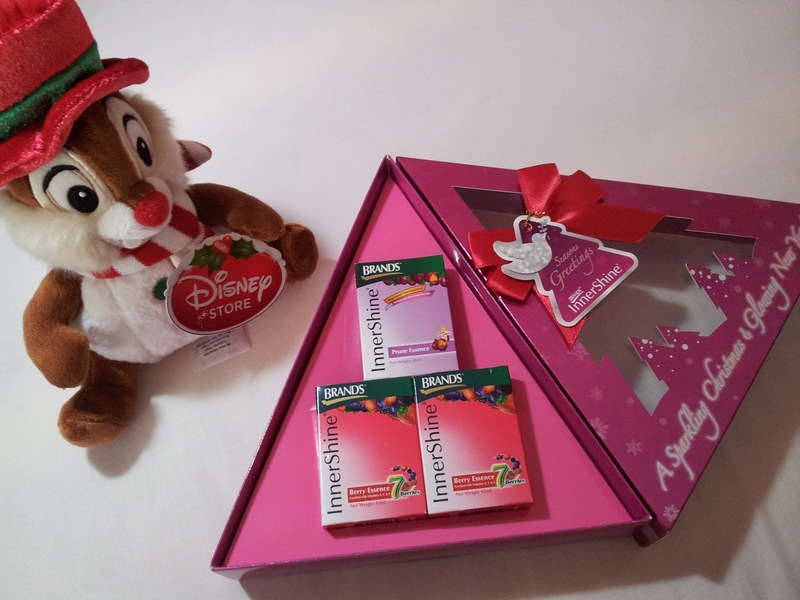 With the BRAND'S® InnerShine® Christmas Gift Pack hehe. I'm so so so excited for Christmas! If you are not excited yet, THIS WILL MAKE YOU EXCITED! 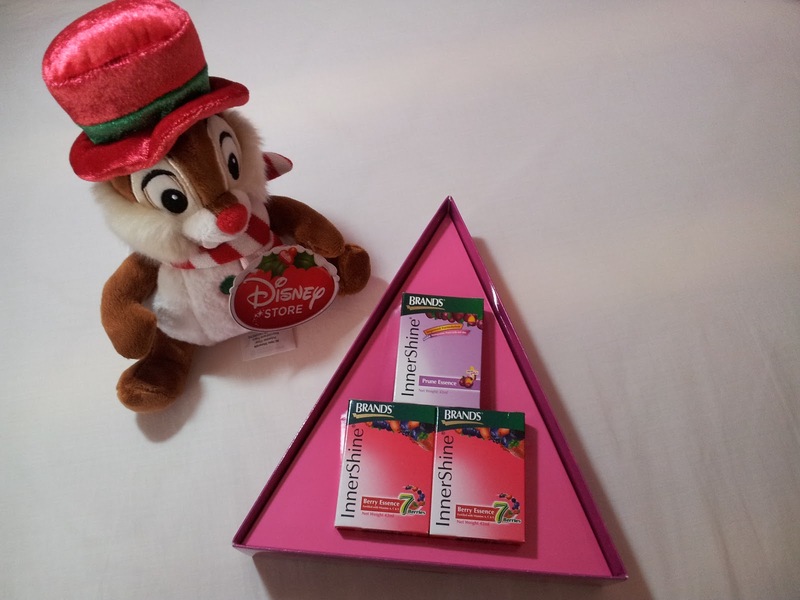 THIS BRAND'S® InnerShine® CHRISTMAS GIFT PACK!!! Well, easyyyyyyyyy way to win this pack! Comment below why you want it! Hehe first ever giveaway here! *Ending next week 23rd Dec 2012!